Shrimp and pineapple kebabs with lime vinaigrette are a perfect combo of sweet and salty in this easy, summery recipe! A refreshing appetizer or light supper. This cheery looking dish of shrimp and pineapple kebabs with lime vinaigrette is not only fun and easy to make, it is the perfect summery first course. Or, if you are me and the Southern husband and have just eaten your way through the entire southern portion of Vermont, it makes a light and low-calorie supper. Plus there is the pure fun of eating anything on a skewer! Ready to take your shrimp to the tropics? Let’s make it! 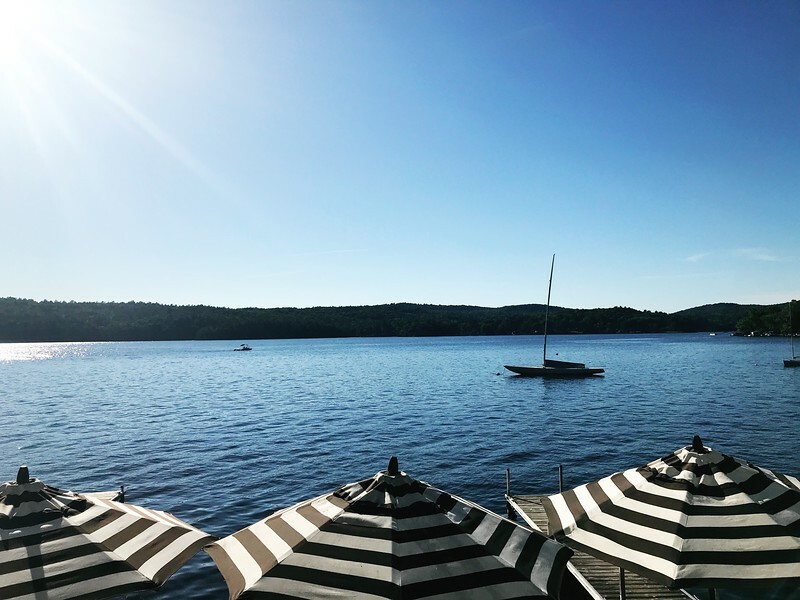 But first, here are my best recommendations for dining out in the Rutland/Manchester area of beautiful Vermont. I taste-tested them for the billionth time last weekend when we were up at the Vermont cabin soaking in the cool Vermont air and listening to the cows mooing. Our first stop was the outdoor lake-side bar at the Lake House Pub & Grille at Lake Bomoseen, where the view wasn’t half bad. I had the fried clam strips and a margarita, and the Southern husband had the fried fish sandwich and ice water, because he is my beloved designated driver. The portions are delicious and generous, and we probably could have just split the scrumptious fried clams, but it was our first night so we went for broke. 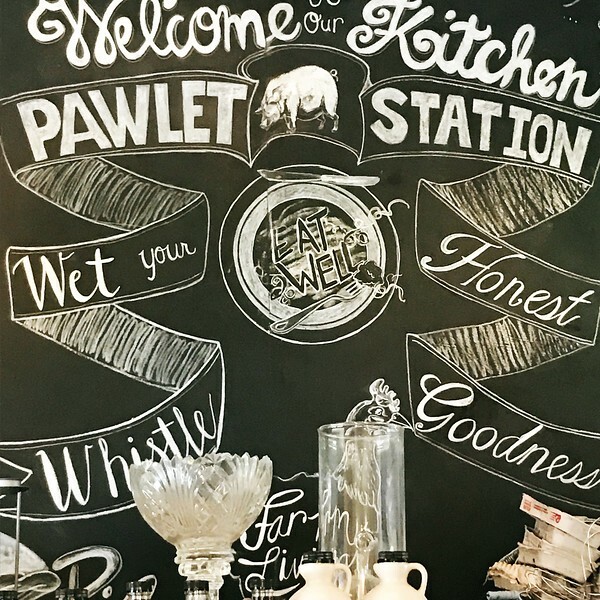 The next morning we went to one of our very favorite breakfast places, The Pawlet Station. 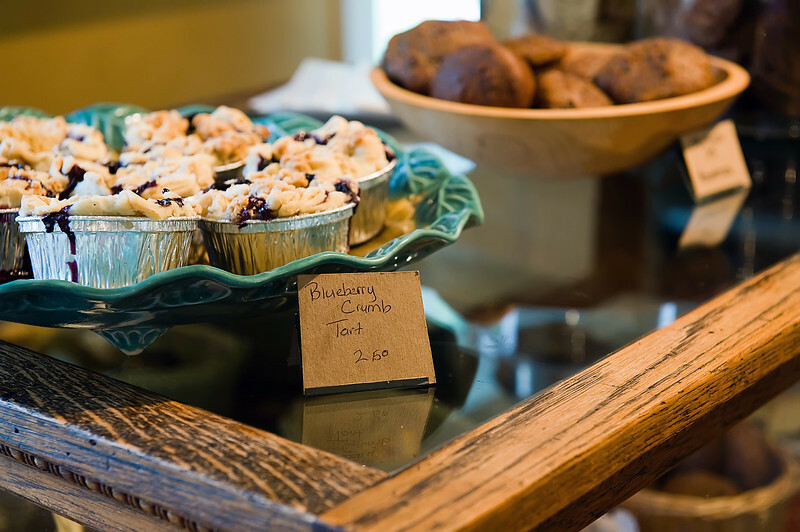 They do breakfast and lunch, and sometimes dinner (gotta love the Vermont schedules, so check first), and while you can sit outside, the Southern husband loves sitting at the pretty wooden inside counter so he can watch his breakfast being cooked before his very eyes. They had Irish Eggs Benedict as a special, and since my Irish Eggs Benedict is one of his faves, he ordered that and was all kinds of happy. I had a bacon egg and cheese sandwich with a farm fresh egg and I was all kinds of happy. Then we went into Manchester and visited Hildene so I could pick up some goat cheese, and then we went back to the cabin to take naps. Ahhh….. 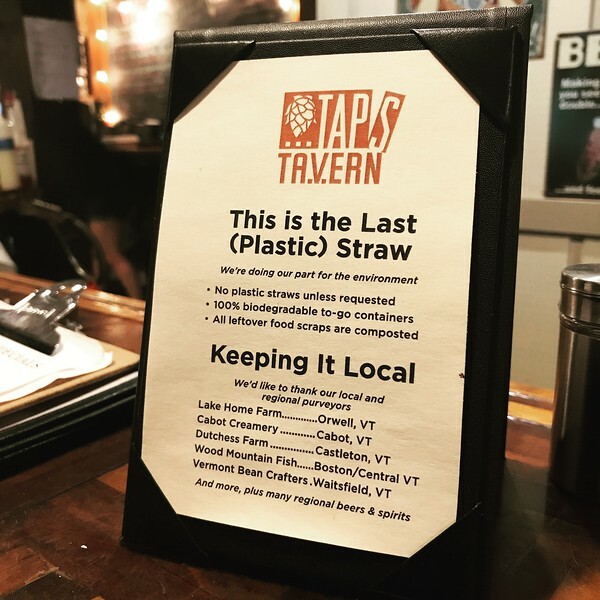 When suppertime rolled around, we went to Taps Tavern in Poultney. When I was a kid, the height of excitement was driving in from the farm to Poultney, usually to go to the bank, but who is arguing when you get to ride shotgun with your grandpa and all the windows rolled down? Taps wasn’t around back then, but they are now, and it’s super friendly joint with a very fun menu. I had mussels steamed in beer and a margarita, and the Southern husband had steak tacos and ice water. You’d think I would share the designated driving, but he insists. My hero. The next morning we went to my all time favorite Vermont eatery, which is Sissy’s Kitchen. With all due respect to the scrumptious breakfast sandwich at Pawlet Station, which I would have again in a heartbeat, Sissy makes hers with Vermont cheddar on a homemade ciabatta roll and OH MY GOODNESS. The Southern husband and I split one, sitting in the Vermont sunshine in Sissy’s back garden, and it was gone too fast for me to take its picture, so here is one of Sissy’s blueberry crumb tarts. More napping. 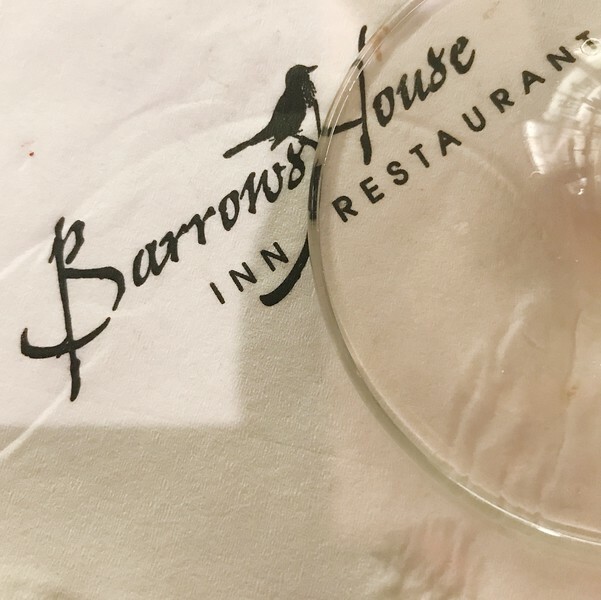 Then on our last night we went to our very favorite dinner spot, the Restaurant at the Barrows House in beautiful Dorset. The Southern husband had a glass of prosecco (I know! Thank goodness! ), and I had their special margarita (so good!) and we split a caprese salad and the lobster roll. YUM. Bring a medium saucepan of water to a boil; add the shrimp. Reduce the heat and simmer until the shrimp are just opaque in the center, 3–4 minutes. Drain and rinse under cold water. Stir together the lime juice, honey, oil, vinegar, mustard, and crushed red pepper in a bowl until blended. Stir in the shrimp, pineapple, and tomatoes; gently toss to coat. 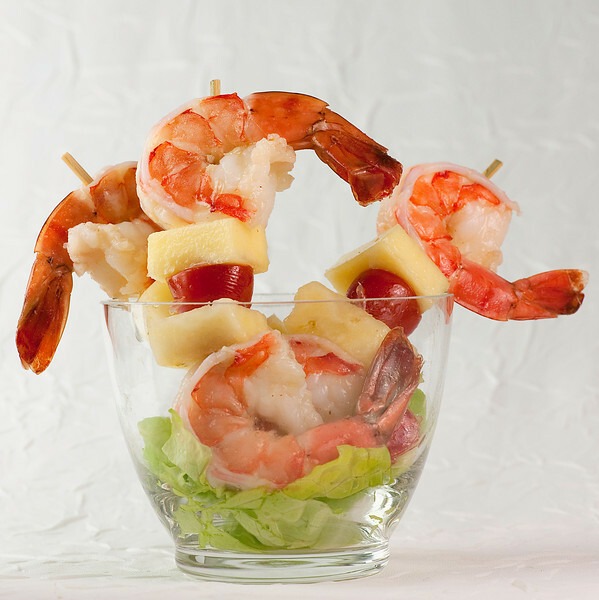 Push the shrimp, pineapple, and tomatoes on 4 wooden skewers. Divide the lettuce between 2 small bowls and drizzle with the remaining vinaigrette. I love how light and easy this is. My kind of friday night meal also! Simple and delicious looking. As always, love your photography! I like the simple recipe you have there. I am impressed with it and also the photography is beautiful.